Mrs. Barbara Johnson, 86, Salamanca, New York, died Thursday, March 20, 2014 at the Absolut of Salamanca, Salamanca, New York. 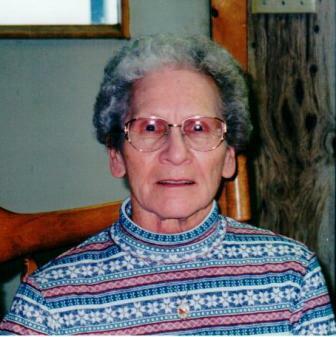 Born May 29, 1927 in Jamestown, New York, she was the daughter of the late Carl W. and Helen Rickert Frenz. She was married on July 17, 1954 to Mr. Dewey L. Johnson who survives. She graduated from Little Valley High School Class of 1944. Mrs. Johnson was a member of the United Congregational Methodist Church, Salamanca, New York. Surviving besides her husband are: 2 sons, Dana Johnson, Orange Park, FL and Kevin (Susan) Johnson, Cary, NC; 1 daughter, Dawn (David) Morton, Centre Hall, PA; 8 grandchildren; 4 great-grandchildren; 1 sister, Dolores (Daniel) Keller, Salamanca, NY; 1 brother, Carl Frenz, Elkdale, NY; several nieces and nephews. She was predeceased by a sister, Joyce Champlin and an infant brother, Stanley Frenz. Friends may call at the O'Rourke & O'Rourke Inc. Funeral Home, 25 River Street, Salamanca, New York on Saturday, March 22, 2014 from 4 - 5 P.M. when funeral and committal services will be held with Rev. Ray Gilman, pastor of the United Congregational Methodist Church, officiating.